Hurling and camogie have been recognised by UNESCO as protected cultural activities. The ancient Irish pastimes were inscribed on the Representative List of the Intangible Cultural Heritage of Humanity today. Uileann Piping is the only other activity on the list of protected cultural activities from Ireland. UNESCO defines 'intangible cultural heritage' as the practices, representations, expressions, knowledge, skills that communities, groups and individuals recognise as part of their cultural heritage. "Hurling is considered as an intrinsic part of Irish culture and plays a central role in promoting health and wellbeing, inclusiveness and team spirit. Today, the skills are promoted and transmitted through coaching and games in schools and clubs. As the custodians of Hurling, the Gaelic Athletic Association and the Camogie Association, both volunteer-led organizations, play a central role in transmitting the skills and values associated with Hurling." GAA president John Horan said: “The decision of UNESCO to award the prestigious Intangible Cultural Heritage status to the game of hurling is yet another high point in what has been a quite exceptional 2018 for the game. "Coming on the back of what was yet another exceptional summer of Championship hurling, this UNESCO award is international recognition for our native game and an acknowledgement of its cultural, social and sporting importance to the People of Ireland. 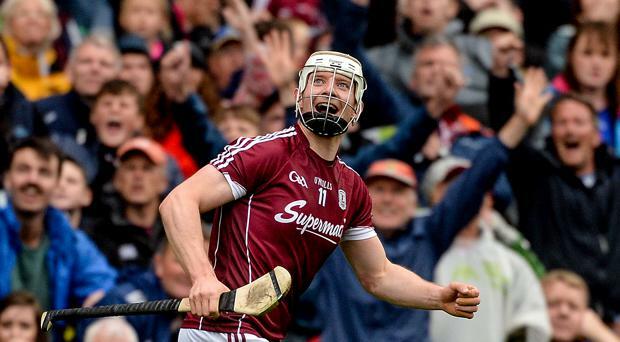 "It reaffirms the fact that Hurling is more than just a sport. It is a national treasure; an ancient tradition that connects us to our Celtic past and a part of our DNA. At a time of unprecedented popularity for the Game here, we owe a debt of gratitude to the generations of people who preserved, protected and promoted the game at school, club and county levels so that it would survive and thrive for our benefit. Kathleen Woods, President of the Camogie Association said: “It is a great honour for Camogie to receive this prestigious international recognition which illustrates the integral role which Hurling and Camogie play in Irish life and the great history associated with our games.